These days it seems like there’s a new site that pops up every day claiming to be the next best thing when it comes to promoting your business, but does your site really need another social media platform to manage? Well, if you’re going to add additional social platform to your roster, Pinterest is the way to go. Now let me tell you why Pinterest is a must-have social media platform. First things first, here’s a little background on this creative site we’ve all come to know and love. Pinterest is an Internet platform used to collect ideas and images for projects/interests in a visual method. Users can then create and share their collections with other users (known as, boards) of their visual bookmarks (known as, Pins). The most ‘pinning’ takes places within 10:00–11:00 p.m.
Now, you may be thinking to yourself “I’m not an E-commerce site.” Well, that’s okay and let me tell you why. For one, Pinterest can be a great way for businesses to connect with their audiences and display information using attractive images rather than repetitive wordy content. Although you may not be doing much E-commerce with your site, there’s still an SEO benefit when it comes to Pinterest. When companies are actively on Pinterest, they can improve their rankings on search engines like Google and Yahoo/Bing. Pinterest can also drive a great amount of referral traffic to websites as well, leading websites to rank higher within the search engines. When users frequent your site, there’s a strong chance if they see content that strikes their interest, they’re going to want to Pin those items. The reason for this is mostly due to the fact they want a place that holds all their items for a future read. Pinterest is steadily becoming one of the fastest growing and most predominant social networking sites on the web. Unlike the other top-tier level social networks, Pinterest allows companies/users to post, share, and spread their content, which has huge gains in your websites SEO efforts. 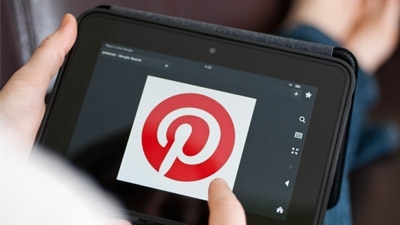 Here are some great examples of how Pinterest can assist in your SEO efforts. As you can see, I could go on for days why Pinterest is a ‘must-have’ when it comes to your sites SEO efforts. There’s so many exciting ways you can make Pinterest fun and collaborative for users, clients, etc. These efforts will not only help, but will increase your ability to reach your target audience and implement additional SEO benefits.